Getting a negative review need not be the end of the world. Online customer reviews are very important for local businesses. 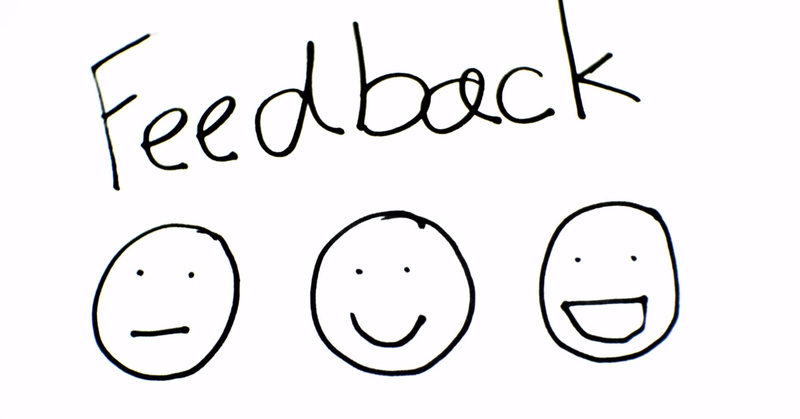 Reviews display what other people, your customers, think of your product or services. If you respond to reviews, you show potential customers that you care about their opinion. It also makes your business stand out from other companies that don’t make an effort to respond to their reviews. Be careful though, you’ll not be only writing to the person who wrote the review. Your response will be out there for all potential customers as well as your competitors. The way you handle reviews can have a huge impact on the way people perceive your brand. Receiving and displaying positive reviews are great for business (and SEO) but what should you do with negative feedback? It’s never pleasant to get a negative review and sometimes it can feel unfair. People can easily take a harsh tone and be overly (and perhaps unreasonably) critical and condescending. Don’t panic – it’s human nature for your first reaction to be emotional. Keep calm and avoid becoming angry or frustrated. Take a breath, walk away for a while to gather your thoughts and decide on how to respond. If it makes you feel better, grab a pen and paper and write the response you’d love to send. Read it to yourself, revel in the satisfaction then screw it up and throw it away. Now you are ready to write a response that will help your business position. Get someone else who is not directly involved in the event to proof-read the response. Bad comments are often similar in nature and it’s unhelpful to waste too much time on them. For simple negative comments or reviews you could use a short template to deal with them quickly. Being prepared with a set of canned responses is a real time-saver and you avoid wasting mental energy on non-productive events. Make sure you spread the canned responses out as it’s not a good look to respond with exactly the same message every time. Wherever possible you should adapt responses to the specifics of the event. People generally don’t write negative responses without a good reason. Depending on what type of business you run it could be that they didn’t like their room, had a bad meal, weren’t given enough attention or didn’t get what they paid for. Most of this has to do with expectations and perception of outcomes. This is why it’s important that you set the expectation from the outset and deliver accordingly. Some people are impossible to please but you should start with apologising for their negative experience. This may be hard to swallow particularly when it’s not your fault but you should be sorry that your customer had a bad experience. Own up and apologise in cases where you or a staff member made a mistake. Make sure you investigate the circumstances and learn from it and respond to the feedback with the learnings. We all make mistakes from time to time and most people are forgiving when they receive a thoughtful response. Mostly they just want to be heard and recognised and your response enables you to turn a negative into a positive for your business. Avoid writing lengthy responses to negative feedback. Keep things simple, short and personable (not personal). A short snarky negative comment shouldn’t generate a ‘War and Peace’ response. Often people don’t even want a response – they just want their voice heard. Don’t respond to personal insults with a personal response. Remember, this will be there for all to see so maintain your professionalism and be polite. Take another look at the screwed up message if it helps. Reply just once and never get caught up in one of those lengthy trails that you see all the time online. Local businesses have the opportunity to deal with a customer’s bad experience face to face. Invite them to drop by again for a discussion about what occurred and ask them how they could have a better experience next time. This is a real chance to turn detractors into advocates. Unfortunately people are 90% more likely to post negative feedback than share a positive experience. Make things right if the complaint was real such as they didn’t get the room they booked or they got salmonella with their salad. Potential customers like to see a few less-than-perfect reviews for their decision-making. It makes a business look more genuine if you have had some negative responses. Encourage everyone to have their say and make it easy for them to quickly add a good message. It is possible to have really bad ones removed with consent of the submitter, but concentrate on turning them around and ask them to post a final positive message to show the world how you fixed their issue.